They are all to varying degrees hypermodern defences, where Black invites White to establish an imposing presence in the centre with the plan of undermining and ultimately destroying it. Although the Indian defences were championed in the 1920s by players in the hypermodern school, they were not fully accepted until Russian players showed in the late 1940s that these systems are sound for Black. Since then, the Indian defences have become a popular way for Black to respond to 1.d4 because they often offer an unbalanced game with winning chances for both sides. Transpositions are important and many variations can be reached by several move orders. It is also possible to transpose into classical openings such as the Queen's Gambit and the Slav Defence; these are not considered "Indian" openings. but other moves are played as detailed below. Instead of 2.c4, White often plays 2.Nf3. Then Black may play 2...d5 which may transpose to a Queen's Gambit after 3.c4. Or Black may play 2...e6 which retains possibilities of transposing to a Queen's Gambit or Queen's Indian Defence. Alternatively 2...g6 may transpose to a King's Indian Defence or Grünfeld Defence, while 2...c5 invites transposition to a Benoni. White can deny Black any of these transpositions by refraining from c2–c4 over the next several moves. On the second move, White can also play 2.Bg5, the Trompowsky Attack. Black can respond 2...Ne4 (see 1.d4 Nf6 2.Bg5 Ne4), or 2...e6 (see 1.d4 Nf6 2.Bg5 e6), among other moves. A third alternative for White is the rarer 2.Nc3. Then Black may play 2...d5, after which 3.Bg5 is the Richter-Veresov Attack (D01, see 1.d4 Nf6 2.Nc3 d5). Black may also play 2...g6 (see 1.d4 Nf6 2.Nc3 g6). The Indian Defences by g6 coupled with d6, or b6 coupled with e6, were largely taught to European players by the example of Moheschunder and other Indians, to whom the fianchetto developments were a natural legacy from their own game. The fondness for them of the present Indian champion of British chess, Mir Sultan Khan, is well known. But they are now so widely popular that Dr. S. G. Tartakover was able to declare, some years ago, that "to-day fianchettos are trumps." A sequel hardly to have been anticipated from the discovery of Moheschunder in the Mofussil! In the following game, Moheschunder (Black) plays the Grünfeld Defence against Cochrane in 1855—some 38 years before Ernst Grünfeld was born. 1. d4 Nf6 2. c4 g6 3. Nc3 d5 4. e3 Bg7 5. Nf3 0-0 6. cxd5 Nxd5 7. Be2 Nxc3 8. bxc3 c5 9. 0-0 cxd4 10. cxd4 Nc6 11. Bb2 Bg4 12. Rc1 Rc8 13. Ba3 Qa5 14. Qb3 Rfe8 15. Rc5 Qb6 16. Rb5 Qd8 17. Ng5 Bxe2 18. Nxf7 Na5 and White mates in three (19.Nh6+ double check Kh8 20.Qg8+ Rxg8 21.Nf7#). The term "Indian Defence" was popularized by Savielly Tartakower in the early 1920s. In his 1924 book Die hypermoderne Schachpartie, Tartakower classifies the Indian Defences under the broad headings "Old Indian" (...d6 and eventual ...g6) and "Neo-Indian" (...e6 and eventual ...b6). Under the heading "Old Indian", he considers the openings now known as the King's Indian and Grünfeld Defences. He also proposes the names "Proto-Indian" for 1.d4 d6, "Pseudo-Indian" for 1.d4 c5, "Semi-Indian" for 1.d4 Nf6 2.Nc3 and "Three Quarter Indian" for 1.d4 Nf6 2.Nd2, none of which came into wider use. The modern names "King's Indian Defence", "Queen's Indian Defence", "Old Indian Defence" and "King's Indian Attack" were attributed by Richard Reti to Hans Kmoch, though Reti himself did not approve of these terms. Reti also attributed to Kmoch the terms "All Indian Defence" (where Black fianchettoes both bishops after 1.d4 Nf6) and "Queen's Indian Attack" (where White opens 1.Nf3 and 2.b3) but these did not come into general use. Advocated by Nimzowitsch as early as 1913, the Nimzo-Indian Defence was the first of the Indian systems to gain full acceptance. It remains one of the most popular and well-respected defences to 1.d4, and White often chooses move orders designed to avoid it. Black attacks the centre with pieces and is prepared to trade a bishop for a knight to weaken White's queenside with doubled pawns. The Queen's Indian Defence is considered solid, safe, and perhaps somewhat drawish. Black often chooses the Queen's Indian when White avoids the Nimzo-Indian by playing 3.Nf3 instead of 3.Nc3. Black constructs a sound position that makes no positional concessions, although sometimes it is difficult for Black to obtain good winning chances. Karpov is a leading expert in this opening. Many Queen's Indian Defence players also play the Nimzo-Indian Defence, and in fact the line 4.Nf3 b6 5.Nc3 Bb4 is sometimes called the "Nimzo/Queen's Indian Hybrid" or similar, and could be classified under either opening. The Bogo-Indian Defence is a solid alternative to the Queen's Indian, into which it sometimes transposes. It is less popular than that opening, however, perhaps because many players are loath to surrender the bishop pair (particularly without doubling White's pawns), as Black often ends up doing after 4.Nbd2. The classical 4.Bd2 Qe7 is also often seen, although more recently 4...a5!? and even 4...c5!? have emerged as alternatives. Transposition to the Nimzo-Indian with 4.Nc3 is perfectly playable but rarely seen, since most players who play 3.Nf3 do so in order to avoid that opening. The Blumenfeld Gambit (or Countergambit) bears a superficial but misleading resemblance to the Benko Gambit, as Black's goals are very different. Black gambits a wing pawn in an attempt to build a strong centre. White can either accept the gambit or decline it to maintain a small positional advantage. Although the Blumenfeld is playable for Black it is not very popular. The Catalan Opening features a quick fianchetto of White's king's bishop. Ernst Grünfeld debuted the Grünfeld Defence in 1922. Distinguished by the move 3...d5, Grünfeld intended it as an improvement to the King's Indian which was not considered entirely satisfactory at that time. The Grünfeld has been adopted by World Champions Smyslov, Fischer, and Kasparov. The King's Indian Defence is aggressive and somewhat risky, and generally indicates that Black will not be satisfied with a draw. Although it was played occasionally as early as the late 19th century, the King's Indian was considered inferior until the 1940s when it was featured in the games of Bronstein, Boleslavsky, and Reshevsky. Fischer's favoured defence to 1.d4, its popularity faded in the mid-1970s. Kasparov's successes with the defence restored the King's Indian to prominence in the 1980s. The Benoni Defense is a risky attempt by Black to unbalance the position and gain active piece play at the cost of allowing White a pawn wedge at d5 and a central majority. The most common Benoni line is the Modern Benoni (3.d5 e6 4.Nc3). Tal popularised the defence in the 1960s by winning several brilliant games with it, and Bobby Fischer occasionally adopted it, with good results, including a win in his 1972 World Championship match against Boris Spassky. Often Black adopts a slightly different move order, playing 2...e6 before 3...c5 in order to avoid the sharpest lines for White. The Benko Gambit (known as the Volga Gambit in Russia and Eastern Europe) is one of Black's most popular ways of meeting 1.d4, though it is less common at elite level. Black plays to open lines on the queenside where White will be subject to considerable pressure. If White accepts the gambit, Black's compensation is positional rather than tactical, and his initiative can last even after many piece exchanges and well into the endgame. White often chooses instead either to decline the gambit pawn or return it. The Old Indian Defence was introduced by Tarrasch in 1902, but it is more commonly associated with Chigorin who adopted it five years later. It is similar to the King's Indian in that both feature a ...d6 and ...e5 pawn centre, but in the Old Indian Black's king bishop is developed to e7 rather than being fianchettoed on g7. The Old Indian is solid, but Black's position is usually cramped and it lacks the dynamic possibilities found in the King's Indian. The Budapest Gambit is rarely played in grandmaster games, but more often adopted by amateurs. Although it is a gambit, White cannot hold on to his extra pawn without making compromises in the deployment of his pieces, so he often chooses to return the pawn and retain the initiative. The Accelerated Queen's Indian Defence is playable, however it is considered less accurate than the standard Queen's Indian move order (2...e6 3 Nf3 b6) due to the possibility of 3.Nc3 Bb7 4.Qc2 d5 (otherwise e4 will follow) 5.cxd5 Nxd5 6.Nf3! and White was better in Alekhine–König, Vienna 1922. James Plaskett and Raymond Keene analyse this line in their 1987 book on the English Defence. This normally transposes into the Slav Defence if Black subsequently plays ...d5, however it may also transpose into the Old Indian or even the King's Indian if Black instead follows up with ...d6. One of the few independent lines is the offbeat 2...c6 3.Nf3 b5! ?, sometimes called the Kudischewitsch gambit after the Israeli IM David Kudischewitsch. The Black Knights' Tango or Mexican Defence introduced by Carlos Torre in 1925 in Baden-Baden shares similarities with Alekhine's Defence as Black attempts to induce a premature advance of the white pawns. It may transpose into many other defences. The Marshall Defence (normally reached via the Queen's Gambit after 1.d4 d5 2.c4 Nf6?!) is better for White. Another option is the Barry Attack, popular with club players. White usually follows up with Ne5 and h2–h4–h5, a direct attack on the black king. The Barry Attack has also been tried out at grandmaster level by Mark Hebden and Julian Hodgson. The Nadanian Attack is an aggressive attempt by Black to unbalance the position. The early 2...h6 and 3...g5 are designed to deal with drawish variations such as Colle System, London System and Torre Attack. The line was introduced in 2005 by Ashot Nadanian, but has never enjoyed widespread popularity among top-flight players. The Döry Defence (2.Nf3 Ne4 or 2.c4 e6 3.Nf3 Ne4) is uncommon, but was the subject of a theme tournament (won by Paul Keres) in Vienna in 1937. It will sometimes transpose into a variation of the Queen's Indian Defence but there are also independent lines. The Neo-Indian Attack, Torre Attack, and Trompowsky Attack are White anti-Indian variations. Related to the Richter–Veresov Attack, they feature an early Bg5 by White and avoid much of the detailed theory of other queen's pawn openings. ^ "Indian Defence", Chess Player's Chronicle: 172, 22 October 1884, retrieved 2008-07-22 In this case the opening moves were 1.e4 d6 2.d4 g6. ^ Philip W. Sergeant, A Century of British Chess, David McKay, 1934, p. 68. ^ Edward Winter, Kings, Commoners and Knaves: Further Chess Explorations, Russell Enterprises, Inc., 1999, p. 141. ISBN 1-888690-04-6. ^ Tim Harding, A History of The City of London Chess Magazine (Part 1). Retrieved on 2009-03-18. ^ Savielly Tartakower, Die hypermoderne Schachpartie, Verlag der Wiener Schachzeitung, Vienna, 1924, pp411-425. ^ "Alekhine vs. König, Vienna 1922". 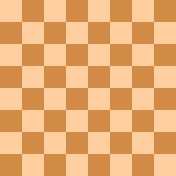 Chessgames.com. This page was last edited on 15 October 2018, at 18:24 (UTC).